Every kitty likes having somewhere they can call their own. The Kitty Shack 2-in1 Tunnel Bed & Mat is the perfect option for a cat who likes to hide in dark places. This bed and mat can be used in two different functions. As a traditional cat bed this mat will provide a comfy place for your kitty to call home. When in the tunnel mode your kitty can use the bed as a hiding place and secret base. A zipper helps to keep the kitty shack in the tunnel form. One of the main benefits of the Kitty Shack is that it helps to collect your cat’s hair. With this coupon you can save $2 when buying a Kitty Shack. 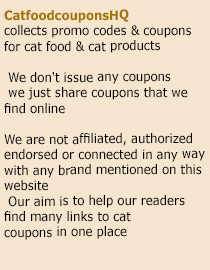 The coupon is valid for one Kitty Shack only. Because the coupon is a manufacturer coupon you can redeem it at any store that accepts manufacturer coupons and sells Kitty Shack. To redeem the coupon simply follow the above link and add the coupon to your cart. It will be sent to you. The coupon expires December 31st, 2015.